Thanks to the generous support from donors and sponsors at our Sixth Annual Success For Our Kids Breakfast in April, over $100,000 was raised to support blended learning initiatives in District 6 Elementary Schools for 2016-17. Blended learning combines traditional face-to-face instruction with digital content and activity, tailored to individual students’ needs and abilities. Using digital technology, students learn at their own pace and in their preferred learning style. This approach fosters engagement and promotes achievement. Effective blended learning requires not only technology but also innovative curriculum and assessment design and professional development for teachers and administrators. The Success Foundation has provided funding to purchase the digital devices and content needed to implement blended learning at two elementary schools and we will continue to support professional development for principals and teachers in order to maximize the use of technology for learning. We recently had the opportunity to visit Scott Elementary School to see our donors’ dollars in action! With a total of 11 fully supported classrooms, students are using Chromebooks and digital content to learn in a new way! 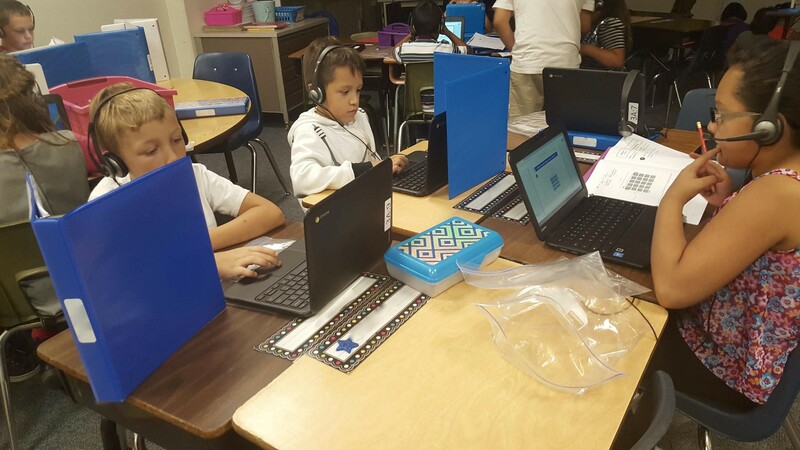 Although only a few weeks into the school year and new to the blended learning model, Scott Elementary administrators, teachers and students appeared to have been using blended learning for years. The tight feedback loop with instant results is increasing student engagement and students are gaining independence as they are able to move through lessons at their own pace. First grade teacher Stephanie Martin explained how a new student who was struggling emotionally with his self-esteem is now thriving in the classroom after working with the independent digital work, saying “he finds such pride with doing so well.” Students are able to work side-by-side at their own pace with a combination of digital content and workbooks. A student at Level 3 can sit next to student at Level 5 and still be productive; neither student is being pushed ahead prematurely, pulled back, or being taught in the middle where neither child would benefit. In addition, teachers are able to spend more time with small groups and individual students needing personalized attention. 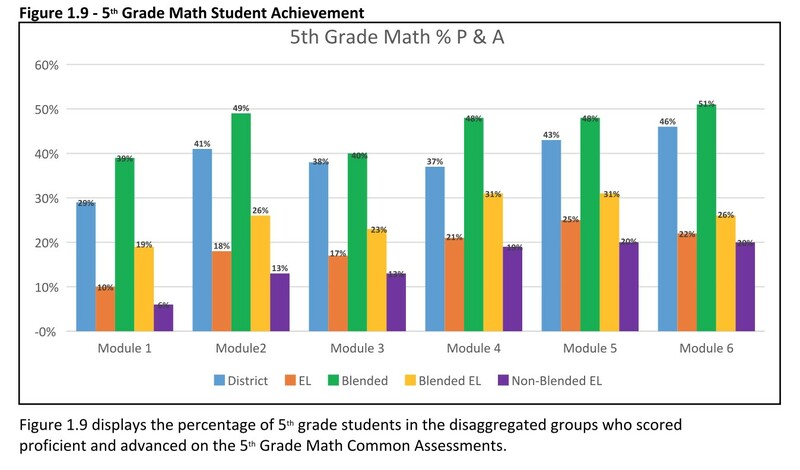 Although too early to include data from Scott Elementary, the graph from the District 6 Spring, 2016 Achievement Report shows one example of the effect blended learning is having on elementary achievement levels. Students with access to blended learning are out-performing students in traditional classrooms. As donors to The Success Foundation, you are making a difference to our students and to our community and we thank you for your support!